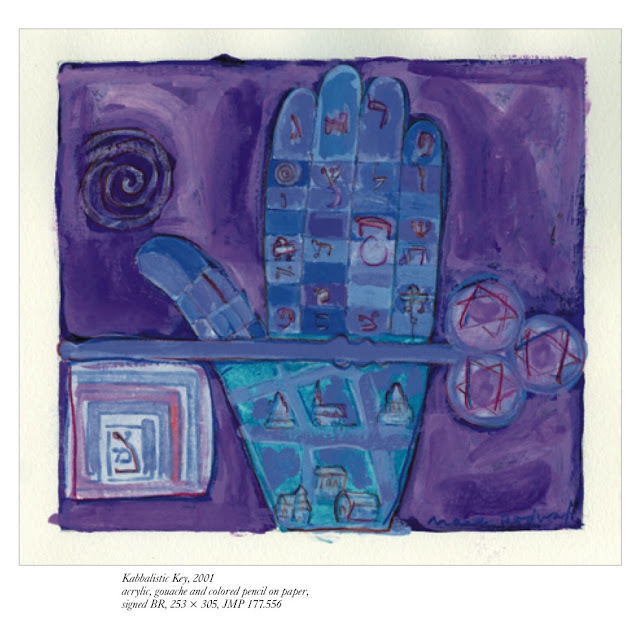 The Jewish Museum in Prague features a selection of drawings and gouaches by the acclaimed U.S. artist Mark Podwal (b. 1945, Brooklyn), curated by Arno Pařík. 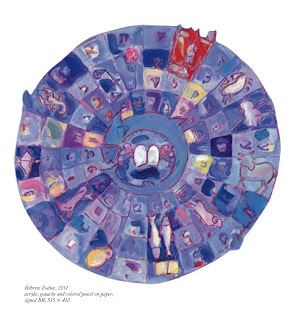 These works are inspired by the mystical ideas of the Kabbalah and Jewish magic concerning the arrangement of the universe, as well as by the colorful legends from the Talmud and by the daily world of prayer and celebrations of the Shabbat and Jewish holidays. Podwal’s work, however, is not only limited to drawings and illustrations. He has also designed Torah mantles and curtains for Temple Emanu-El in New York City, as well as a gold medal for the United States Holocaust Memorial Council, a Congressional Gold Medal and the poster for the Lincoln Center Jerusalem 3000 celebration. His work has also been animated for television in a film about a Passover Seder with Nobel Peace Prize winner Elie Wiesel. Mark Podwal studied medicine on the wishes of his parents but loved to draw since early childhood. In 1967-68, while at university, he began to sketch posters against the Vietnam War. These were noticed by editors at the New York Times who then offered him a job. His first drawing for the NYT was of the Munich Olympic massacre and was published in 1972. And so began a more than 30-year period in which Podwal continued to publish political drawings and cartoons about American politics and events in the Middle East. Attracted by Jewish tradition, stories about angels, demons, the Golem and life in the Shtetls of Eastern Europe (from where his parents emigrated to the United States in the 1920s) however, Podwal soon began drawing traditional subject matter, which gradually came to dominate his work. As he himself says: “As a physician, I believe in science. As an artist I believe in legends.” He is inspired by old manuscripts, amulets and ritual objects, as well as by the Signs of the Zodiac, but also by the shapes of Hebrew letters and their role in the Creation and in the joining of the heavenly and earthly realms. Although Podwal’s drawings may appear simple in terms of form, they bring a new perspective on things that are seemingly familiar, as well as providing new meanings and connections, metaphors and wit. It is no co-incidence that children’s books occupy a special place in his work. Prague has an importance place in Podwal’s life and work. He collaborated with the acclaimed filmmaker Allan Miller on a 2007 documentary film about Prague's Old Jewish Cemetery. 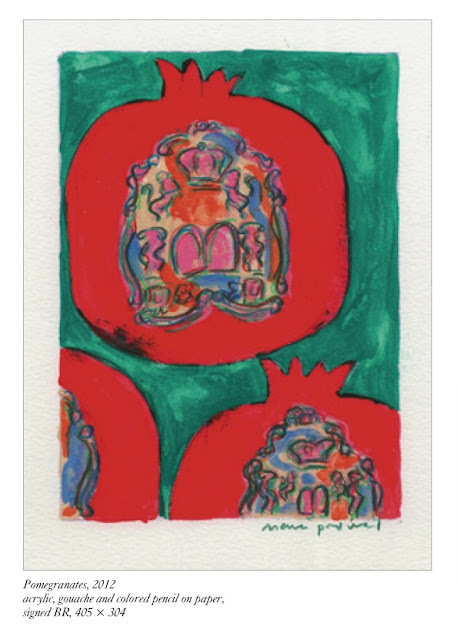 He designed a limited edition silkscreen print (Star of Prague) to commemorate the 100th anniversary of the Jewish Museum in Prague. His most recent book, Built by Angels (2009) focuses on the history and legends associated with the Old-New Synagogue (the Altneuschul). He also designed a series of new textiles for this synagogue – a Torah curtain, Torah mantles and covers for the Torah reading table and cantor’s lectern – which were dedicated earlier this year. A catalogue has been published in conjunction with the exhibition. This includes an introductory text by Elisheva Carlebach (professor of Jewish history and culture at Columbia University) and illustrations of almost all of the 80 works on display (from the collection of the Jewish Museum in Prague and from the artist’s own collection). Images Courtesy of Mark Podwal.